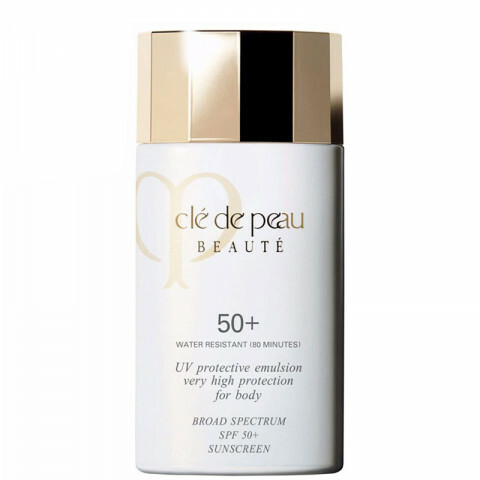 Exquisite UVA/UVB protection in a precious emulsion for body, with innovative anti-pollution ingredients, that leaves skin divinely smooth and fresh with a captivating glow. Perfect for everyday on your way to work and while you socialize under the sun. super hydrating and gives my skin a nice glow. I use this in the summer to protect my body against harmful UV rays. I don't burn and my skin feels very nourished. This sunscreen cream is very hydrating on the skin and a little goes a long way. I can't wait to take it with me to Hawaii. This UV protective cream is super nourishing without being greasy at all. It is rich but gentle and great for sensitive skin. It lasts a long time. I wouldn't want to go back to regular sunscreen! !